Aileron gap profile band provides a smooth airflow between wings and ailerons or flaps as well as Stabilizer or vertical fin and their respective control surfaces. The tape decreases the drag produced by the gap between control surface and the adjacent structures. This in turn increases control surface efficiency and overall aircraft performance. Check, whether your control surface have been sealed. Wind tunnel trials have shown an increase in performance by sealing Aileron and flap gaps. Considering certain types of aircraft control surface flutter can be caused by air flowing through the rudder gaps. This problem can be solved by sealing foils. 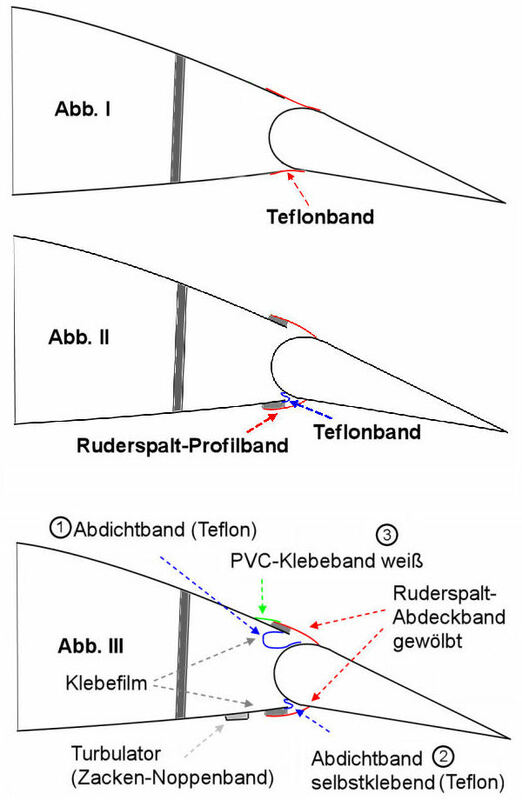 Attachment of only the rudder gap profile tape may not be sufficient. 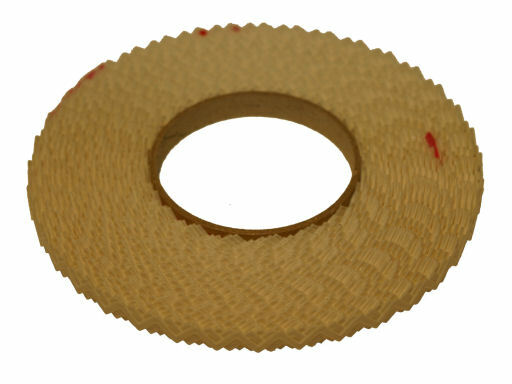 This tape (short: mylar band) is a high quality synthetic tape with a curved shape. It is attached on the top and bottom wing trailing edges so that the unfixed side of the tape meets the aileron or rudder at their thickest point. The tape is pressed onto the rudder by its shape and slides on it. Teflon spray, polish or mounting of teflon tape can be used to ease sliding of the tape and free movement of the rudder. Before applying the adhesive film the profile band and the surface underneath must be free of grease or dirt. As additional backup the profile band should be fixed with white PVC adhesive tape. Let the tape cover approx. 5mm of the wing with the rest on the profile band.(3). 1. Clean and degrease the concerned surfaces on the band and wing with acetone or cellulose thinner. 2. Find out the optimum position for the band and mark it with a pencil. 3. Apply special adhesive film (12mm) along the previously marked line. You might consider using two strips when a large adhesive area is needed. Press the profile band firmly onto the adhesive film. 4. Carefully remove approximately 30-50cm of protective band from the adhesive film. 5. On the one end press the profile band firmly onto the adhesive strips while placing it under tension onto the rest of the adhesive strip from which the protective band has been removed beforehand. 6. Repeat the procedure step by step. 7. Firmly rub the band onto the adhesive strip with a soft cloth. 8. Apply the white PVC adhesive tape over the forward edge of the profile band. 9. Treat the area where the profile tape slides on the rudder regularly with either teflon spray or polish. Check free movement of the aileron/rudder. Make sure there is no blockage by the attached profile band. For safety reasons a qualified person should check the installation. The supplier of the tapes is not liable for any incorrect installation and will not assume any warrenty claims!